In the week before the U.S Presidential election, there’s a lot of good information out there for the prepper. Here’s what’s caught our attention: Superstorm Sandy cripples communications and causes tensions to boil over, buy the ultimate bug-out-vehicle for a mere 1/2 million, and one old time disease is making a comeback. In times of trial, knowing how to use the bounty provided by nature can make the difference between life and death for the prepper or survivor. In good times, being able to seek out and recognize specific wild plants can help extend your supplies and lower your prepping costs. There’s a lot of information out there about this; this articles covers the uses of tea tree oil from A to Z. From Squidoo. As the prepping and homesteading lifestyle is adopted by more and more families across the nation, retailers and manufacturers are taking notice. From Zombie killing knives to bug-out-bags, more and more companies are marketing to our niche market. One entrepreneur is taking orders for a survival truck that can cost upwards of 1/2 millions dollars. From USAToday. In the aftermath of “Superstorm Sandy”, Americans are watching as those most affected along the coastlines of New Jersey and New York begin to put their lives back together. 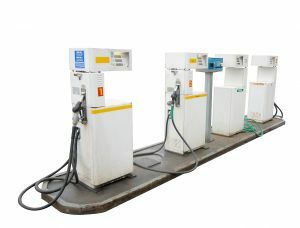 In some towns, however, police and other public officials are monitoring long lines at the gas pumps as tensions rise and hopeful people look for fuel for their generators. From FoxNews. As more and more people relinquish traditional landlines in favor of cellphones, Sandy reminds us that our communications infrastructure is very fragile. According to a Wall Street Journal reports, 25% of the cellphone towers across 10 states hit by “SuperStorm Sandy” are out of currently commission, even further hampering communications in the storm’s wake. Are you prepared? From The Wall Street Journal. The advent of modern medicine with it’s antibiotics, MRI’s, advanced procedures, many illnesses that once were fatal are now a thing of the past. It wasn’t that long ago that an infection may have been a death sentence. Despite this, some diseases of yesteryear on the rise. In Northern Ireland, there have been 221 cases of Whooping Cough recorded so far this year, up from just 15 in all of 2011. What’ll happen when modern medicine’s no longer available? From BBC News. ← Do You Listen to Podcasts?